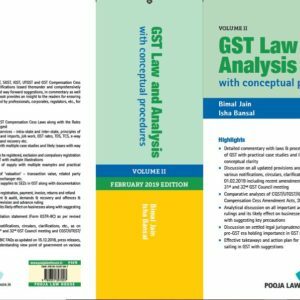 5th Edition GST book “GST Law and Analysis with conceptual procedures” in 3 Volumes, updated as on 01.02.2019. 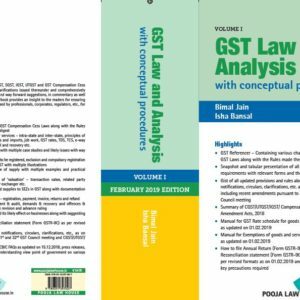 A truly comprehensive book for rookies as well as experts which is definitely recommended for complete understanding of GST Law and it’s provisions. 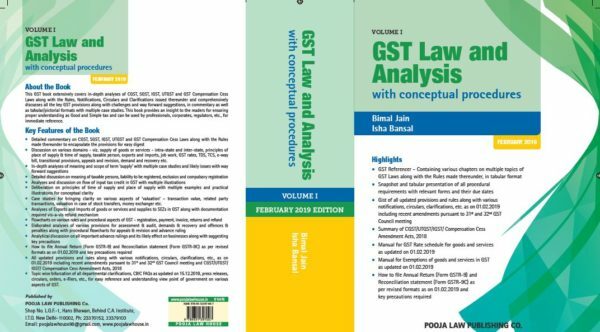 “provides great advice…Through case studies and user friendly diagrams and statistics you’re able to understand the best approach…The ideas in this book and its analytical approach about GST, A2Z indirect Tax concept have helped me, and I would recommend the book to anyone involved in GST Compliances, Audit, all Indirect Taxes. This book contains detailed analysis on all the technical aspects on the newly implemented and very dynamic GST Law. 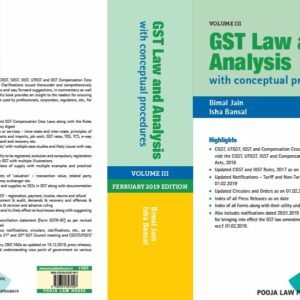 Covering all the notifications, circulars, amendments, etc. 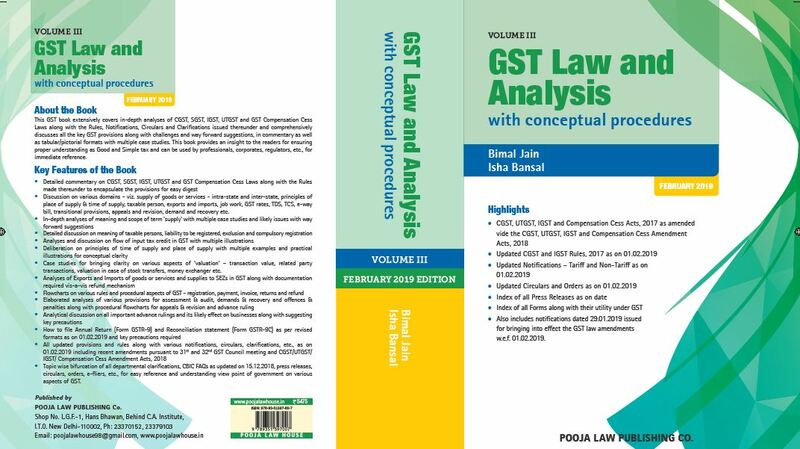 in a holistic manner, giving a very clear picture of the prevailing law. 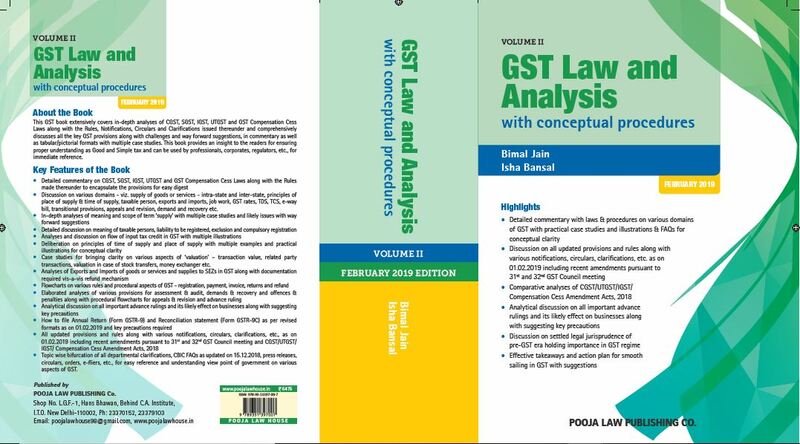 Recommended for the professionals and students looking forward to gain expertise in GST. Once again, after an interval though, a fantastic commentary on GST and not just a bare act. Read few pages and beleive me it is pure analysis. Great Book by Bimal Sir.